The population of the United States continues to get older as the average life expectancy continues to rise. It is estimated that in just 15 years, senior citizens will make up 20% of the total population. Overseeing a senior housing or retirement community puts you in a unique position of being able to help these seniors continue to enjoy a high quality of life, surrounded by their peers. Now out of the work force, seniors have adjustments to make in their daily lifestyle, and you have the power to help make that adjustment a pleasant one. Senior housing needs differ from the rest of the population in subtle ways, and you can be subtle in accommodating them. Avoid stairs on the property, and where they are absolutely necessary make sure that you install sturdy handrails. Use faucets that are pushed on rather than turned, and make sure to have handles to help maintain balance in the shower or tub. All homes should have plenty of light sources, especially in work areas like the kitchen. 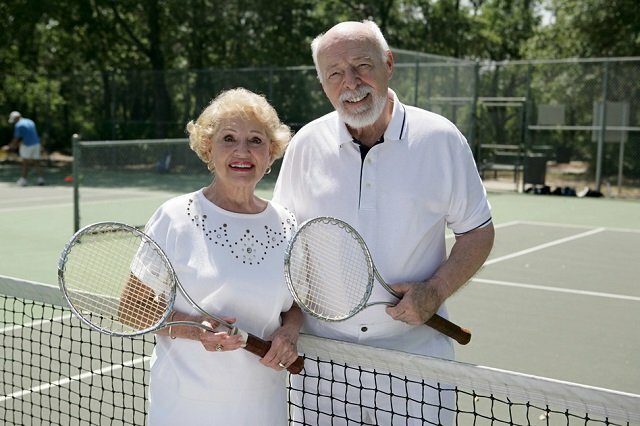 In a retirement community it is up to the administrators to plan events and have activities available that bring the members together. Many of your residents are struggling with a feeling of not knowing what to do, now that they have left the work force. Hold classes on topics of interest, such as learning how to live on a fixed income, or the benefits of holistic medicines. Also have classes and lessons on less serious subjects, such as cooking, dancing or even ways to improve a golf game. Engage with your community to find out what types of activities interest them, and then take the steps to ensure that they are readily available. You also want to ensure that your community members and their family feel secure about your retirement facility. Have emergency call buttons installed in each home and in areas where the seniors spend a good deal of time. Make sure that you have systems in place that will bring emergency medical assistance into your community quickly. Keep updated records of all members that includes important health information and contact details for relatives. This way, in the event that an emergency does arise, you can quickly get in touch with the closest family member using an emergency notification service such as DialMyCalls. The biggest contribution you can make to a retirement community is to be a part of it. Make sure that you and all of your staff members are taking time to interact and engage in the community. You are the leader, and your community will follow your lead if you are always available to provide assistance, encourage interaction between residents and listen and act on ideas on ways to make your senior housing community more inviting. Retirement is a stage of life that not everyone is overly enthusiastic about reaching, but with the right environment, seniors can learn to love it. If you take the time to create entertaining activities and encourage your members to participate, a strong sense of community will naturally develop. With that comes better mental and physical health for all of your senior residents.